Movement, Mindfulness & Modern Spirituality. In partnership with Weeksville Heritage Center, GrillzandGranola and I See You Wellness bring you ZEN DAY: the first and only community wellness conference that promotes movement, mindfulness & modern spirituality among Women of Color (all people are welcome). During our annual conference, we gather a powerful community of practitioners, creatives, entrepreneurs, influencers and wellness ambassadors to learn how to be collectively well and share accessible, women-owned wellness resources. We keep self love and self care at the heart of what we do, dropping illusions, exchanging energy, turning our damn phones off and learning how to live the Zen Life. We are powerful when we gather and the time to RISE is now. Join the magic for the second annual ZEN DAY Wellness Conference and come experience the magic and high vibes we generate as a community. This year, we will explore the theme: RISE. We are powerful when we gather, and the time to RISE is now. Personally and collectively, we are all experiencing an awakening where we are called to our purpose. Many women of color are defining their own paths by building and creating spaces and business that give rise to their communities, their healing and their universal right to vibe higher. Let’s share our stories, our brilliant ideas, our wellness journeys, and multiple uses of coconut oil (kidding, not kidding) for communal collaboration and expansion! Join us for our second annual ZEN DAY, and rise with a powerful community of practitioners, creatives, entrepreneurs, influencers and wellness ambassadors to learn how to be collectively well and share accessible, women-owned wellness resources and collaborate for higher vibrations! This Year's Theme is RISE. It's time for us to RISE. We see it. We feel it. And we are ready for it. that'll get you excited about embarking on your journey to greatness. from our favorite women of color in Wellness. Join us for this year's ZEN DAY to ignite the fire within you that will be felt for years to come. When Tracy G. manifested her coveted job as an on-air personality for SiriusXM's top rated show, Sway In The Morning, she wasn't expecting to be plagued by self doubt in a career that exudes self-confidence. This bout with imposter syndrome in 2015 inspired her to remix affirmations and create what she calls audio vision boards. These are a series of raw + modernized mantras set to bomb beats written and voiced by Tracy along with her edutaining life musings. What began as her own mental medicine quickly grew into a popular social experiment embraced by a loyal audience of millennial women looking to embrace spirituality but without shedding sass. As a nice Scorpio who loves thick conversations about self-care, expect Tracy to share content about befriending both our inner Drake and inner Deepak, working out in the name of mental health, women's lifestyle faves, love vs. lust and adulting faux pas. Mary Pryor is the co-founder & CEO of Cannaclusive, a collective focused on inclusion in the cannabis industry. She is the Marketing Lead for Come Back Daily - a CBD store in NYC, the New York Chapter President of Minorities for Medical Marijuana, and she serves as the current NY advocate for The People’s Dispensary. Mary is known for being a trendsetting, innovative, passionate and strategic problem solver. She has always been ahead of the curve due to being immersed in automotive design, electrical engineering, music, education, digital arts, and marketing while being raised in Detroit. She is a bicoastal media expert with an impressive roster of employers and clients including Sony Music Group, Viacom, Black Enterprise, CBS News, Ebony Magazine, Essence Magazine, Rolling Stone and Sean Combs Enterprises. Mary founded her own firms, WeFancy and UrbanSocialista to cater to culturally rich and niche audiences. and feel grateful to be part of this community. ZEN DAY 2019 Speakers and Agenda will be announced soon. This year's lineup is absolutely epic! Get your ticket before we're all sold out. Movement, Mindfulness and Modern Spirituality. 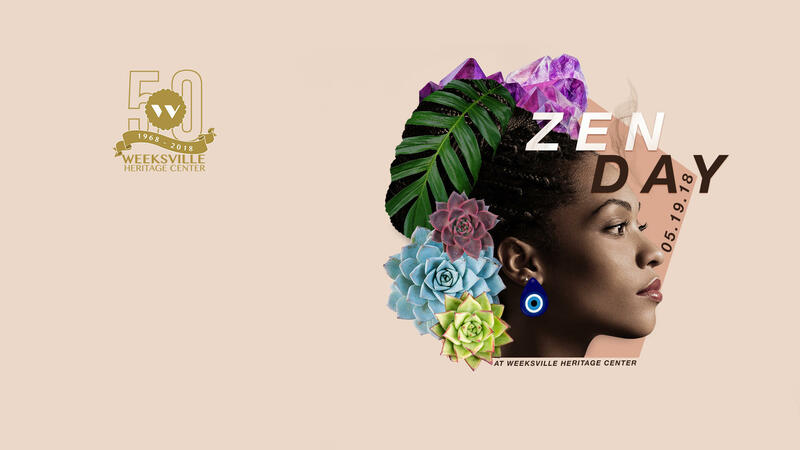 In partnership with Weeksville Heritage Center, Zen Day is the only half-day wellness conference that promotes movement, mindfulness and modern spirituality among self-identified women of color (all people are welcome). We drop illusions, exchange energy, turn our damn phones off and learn how to live the zen life. During our bi-annual conference, we gather a community of hustlers, creatives, entrepreneurs and wellness advocates to share accessible ways we can help each other on our journey to be well. We keep self love and self care being at the heart of what we do. We see it. We feel it. We are it. And we are ready to RISE. This year's theme is bold, fiery and full of empowering workshops and talks that'll get you excited about embarking on your journey to greatness. We will explore the theme through keynote speeches by our inspiring speakers and leaders who will guide us on collective meditations, sacred movement and healing workshops. We will do this as we hold each other's hands and Rise together. This year's ZEN DAY will spark the much needed fire within us that will be felt for years to come. Guests arrive at Weeksville Heritage Center, receiving affirmation cards upon check in. Hosted by I SEE YOU WELLNESS, we'll tap into the power of the collective, set our intentions for the day and affirm ourselves and each other. Hosted by a special guest and influential leader within the Wellness space, this opening ZEN TALK will ignite you! Hosted by GrillzandGranola, participants will practice movement with a choice of TrapAerobics and Yoga on the lawn* (bring your own mat). Guests are treated to a vegan lunch by an international, woman-of-color owned catering company as we explore the idea of food as medicine. Participants can explore the ZEN ROOMS for free massages, acupuncture sessions, and more. You can stop by the marketplace to sample natural products and handmade goods by our local vendors or relax on the lawn and take in the sun. We'll give you some tangible tools to take with you on your wellness journey! Choose from two highly, interactive workshops to keep on vibing higher! We will close off the evening with one of our favorite Wellness leaders and a deliverance of vibes to keep you ablaze! Guests arrive at Weeksville Heritage Center, receiving affirmation cards upon checking in. We'll set our collective intention for the day and experience an activating meditation and energy transmission guided by Mariam Mouna Guessous. Julee Wilson is the epitome of Black Girl Magic—during this ZEN TALK, she will share her RISE journey and invaluable wisdom she collected along the way. A 45-minute high-energy workout experience merging dabs and dancing to some of the best 808-thumping trap songs. No dance experience is required. Radical Grand Rising Flow: an empowering open level yoga flow to awaken the power within. All levels are welcome—including beginners. Bring your own Mat. Guests are treated to a healthy homemade and Reiki-charged lunch by Courageous Kitchen, and are welcomed to explore and support local businesses at the ZEN ROOMS and the ZEN MARKET. Say hello to someone new, you never what medicine they have for you. We're all family here. create your own. Hit play. Reset your mood. Slay the day. Explore Cannabis health benefits and the magical endocannabinoid system directly from the co-founder and CEO of Cannaclusive. Step outside and smell the fresh air and ground yourself before the final ZEN TALK. The journey that has led to Lauren’s personal and professional rise is one rooted in community, care, divine timing, manifestation, and a purpose-driven life — and she shares her journey to inspire other women to rise in their own divinely ordained purpose and paths. Get your raffle ticket ready—we have LOTS of goodies from our sponsors to giveaway. We invite you to sip on your choice of medicinal elixir as you reminisce on your favorite ZEN DAY Moments and support our women of color owned ZEN MARKET. Don't forget to pick up your Swag Bag on your way out! 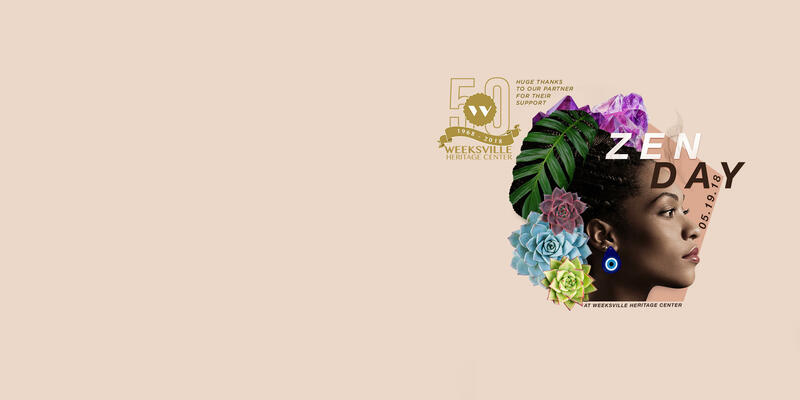 Weeksville Heritage Center is a historical multidisciplinary museum dedicated to preserving the history of the 19th century African American community of Weeksville, Brooklyn—one of America’s first free black communities. We are grateful to Weeksville for being an amazing partner in bringing our vision for ZEN DAY to the community. Meet and greet with local women of color owned businesses who are bringing their best goods exclusively for ZEN DAY attendees. Get complimentary mini sessions of Energy Healing, Massages, Tarot Readings and more at one of our Zen Rooms. Under Armour Women is the Inaugural Zen Day Sponsor! Huge thanks to Under Armour Women for making a huge impact in our community. From sponsoring Zen Day Activities, to giving access to women who otherwise can't afford it, to providing UA goodies to all attendees—we can't thank you enough. ZEN DAY was created by Women of Color, for Women of Color. This May 18th, we are reclaiming our Zen. All are welcome. All people, all genders.